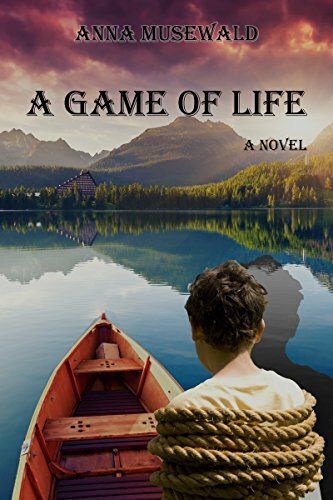 Set in the world of Perilisc, Jesse Teller returns to this world with another series sure to captivate readers. 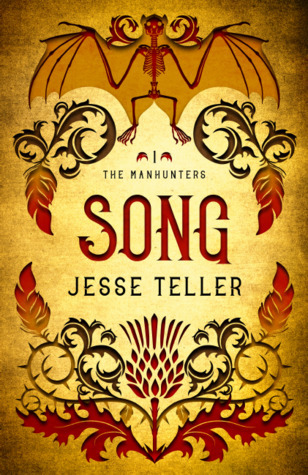 The Manhunters series starts off with Song, and tells two story lines that intertwine. Rayph Ivoryfist is an immortal magician that has his own personal demons to fight, but is bound by honor to protect the land and the boy he believes to be the next great ruler. When the prison he built is destroyed and all the evil had brought to justice is released he knew he needed help. Rayph than builds his own army of powerful beings, with his old friend Smear at his side. Parallel to the story of Ivoryfist preparing for battle is the story of Konnon, the father that wants a cure for his daughter’s paralysis. To help his daughter Bree, Konnon must work with his partner Glyss. Together the two of them have a reputation for being unstoppable and deadly. They live up to this reputation, knowing each other inside and out. The two pair’s separate missions will unavoidably end them up together in the town of Song, the question is, who is alive in the end? Jesse Teller has a way with describing the setting that really makes you feel like you are there. The swamps that Rayph visits, you can almost feel the mud clinging to you, smell the decaying woods and animals used for sacrifices, and feel the tension that the people around the main characters create. The level of detail that goes into settings, also goes into the action. While this is great for really getting into things, those with a weak stomach for gore might not be pleased. Teller describes in detail the torture of some characters, and details the death of many. This level of detail may not appeal to all, but Teller can also detail the compassion and love between two characters just as well. The example of Konnon and his daughter Bree. There is no question about the devotion and love he feels for his daughter, it is relatable and pulls at the heart strings. A father’s undying love and willingness to do whatever he must to save her, no matter what the cost is to himself. One of Teller’s greatest skills is relationships. Not romantic quest love relationships, but bonds between people and spirits. These bonds draw the readers in sometimes more than the story lines do because they are so powerful and relatable. As I read Song, I felt the bonds that form between Rayph and his army. The magic that makes it so they can all be connected is just a piece of the puzzle, they genuinely build a brotherhood and work as one. Konnon and Glyss while not blood brothers move as one unit together, they are bound and know each other so well there is no need for words. It is a great read for the relationship factor alone. If you enjoy studying and reading about human (or in this case non human) relationship Teller will not disappoint. Through his use of many magical creatures from humans, to fairies, to demons, all working together for a common goal the passion for survival and willingness to put all differences aside for is apparent. Perhaps it is a good lesson for modern society, put our differences aside and work together to defeat the evil looking to rip our world apart.